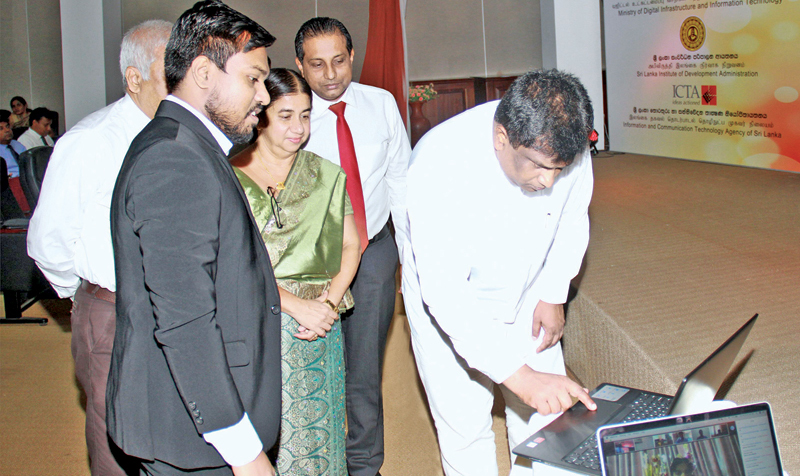 The Government e-Learning Platform (GeLP) was launched by Non-Cabinet Digital Infrastructure and Information Technology Minister Ajith P. Perera, at the Sri Lanka Institute of Development Administration (SLIDA) yesterday. The GeLP is a digital platform which facilitates online learning in various domains for government employees. The GeLP has been implemented by the Information and Communication Technology Agency (ICTA) in collaboration with the Digital Infrastructure and Information Technology Ministry and SLIDA. The GeLP has been successfully tested at a few selected key government institutions and has been enriched with a wide array of subjects that can be easily and readily adapted to any public sector organisation. With online learning, government employees have training facilities available anytime at their desktop. Speaking at the launch, Minister Perera said there are 1.5 million public servants in the country who are paid with the people’s taxes. So they provide responsible and efficient service, for which the online training facility would be advantageous. The Minister urged authorities to develop the GeLP content by adding at least 100 courses by the end of this year. “When we compare Sri Lanka’s public sector with other countries, we are running 10 to 15 years behind. As a country with a proud history of more than 2,500 years, we should come up to speed as soon as possible,” he said.